Stunning and Breathtaking Handmade Embroidered Pillow or Cushion Covers with Mirror Work . 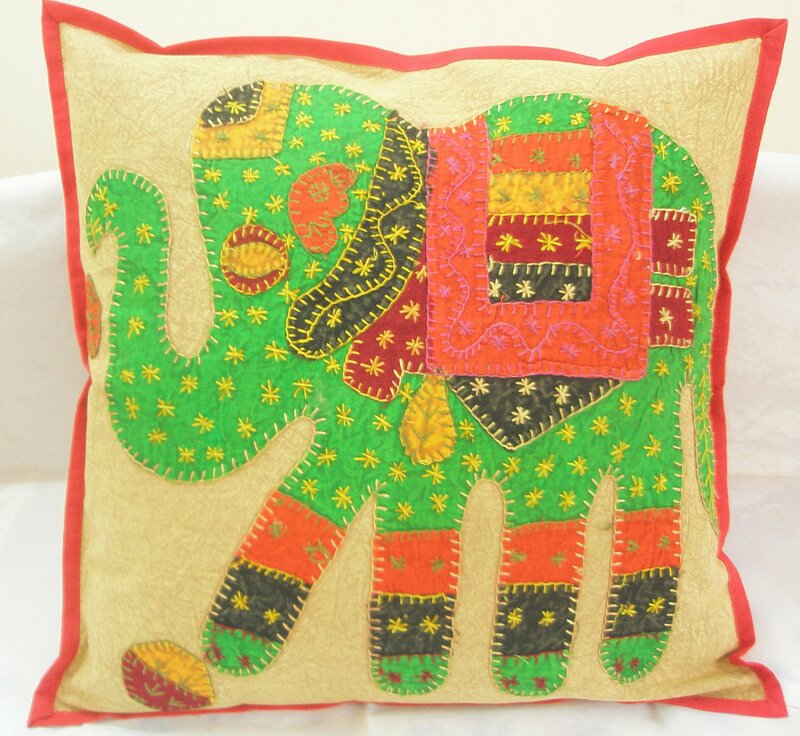 This splendid pillow cover is hand made with stunning embroidery and mirror work. Decorated in fine designs and an exquisite mirror work thread work and embroidery. These gorgeous pillow cushion covers in its rich shade will add warmth, style, elegance and color to any room in your home. Each piece is unique. Beautiful craftsmanship. Since the covers are handmade they might be bit uneven and some threads may be missing. This is not a flaw, but intended to emphasize the true antiquity used to make the cover. A close look at the fine detail gives you some allusion of how much time is spent making just one of these covers. These items are like pieces of art rather then everyday cushions, they should not be over stuffed and the delicate embroidery work should be treated with care. If you're looking for something to add some ethnic style, color, and warmth than look no further. Get these amazing pillow covers for a price you won’t find anywhere!!! Pictures are of actual products. Colors may vary slightly from the photo. This item is a handmade/handcrafted product and is block printed/hand Tye dyed, hand beaded and mirrors and sequins(if any) are embroidered using traditional artisans skills. Slight irregularities gives each piece its individual beauty and character, not to be regarded as defects.